there may have been no Hitler Chancellorship and thus no Holocaust. Strasser was a loyal follower of Hitler for over a decade, and was responsible for the impressive organizing of the Nazi party structure in Germany’s 35 election districts. In late 1932, the Nazis had suffered reversals in the polls; members were quitting; internal dissension was beginning to boil, especially in the SA; the party was deep in debt. In the face of all this, Strasser grew disillusioned with Hitler’s refusal to enter the government in cooperation with other political parties. Hitler of course wanted total control or nothing. During negotiations Strasser was carrying out on behalf of the Nazis, he was offered the Deputy Chancellorship on the assumption he would bring enough Nazi Reichstag members with him to be a part of a majority-backed government. Strasser was tempted, but Hitler told him to remove himself from the negotiations. 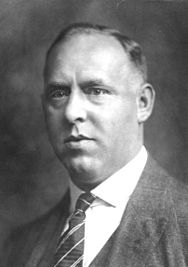 Strasser, who was not sure how much of the Nazi party he could take with him if he challenged Hitler, chose to resign from his party positions rather than take the chance. Hitler, knowing he had been pushed to the wall, by election results and by internal party issues, gambled and won; 30 days later, he was Chancellor. Stachura has presented a clear depiction of these events including a reasonable guess of Strasser’s motivations and understanding of his own options. In the end, Stachura suggests, Strasser was too loyal to Hitler, too enamored with the “Fuhrer mystique,” to challenge him.